← What kind of legacy will you leave? Ta da! 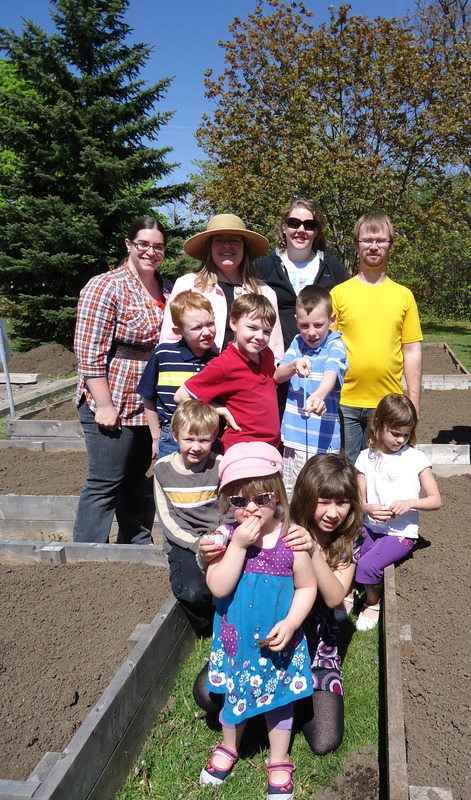 The community garden is now blessed and open! On Sunday our congregation began a new ministry! After the service was over, we all went outside to gather near our new garden boxes that have now been installed and filled with soil. None of them have plants yet, but soon I know we will have tomatoes and squash and all manner of vegetables and herbs. One box will be a project for our Sunday School children, two are being tended to grow food for our weekly meal program, and the rest are being used by families who need the space to grow food for their families. I know (better than most) that in order to thrive, plants need not just sun, soil, and water but also alot of prayer. So as we basked in the sunshine and warm temperature, we gave thanks and asked for God’s blessings on our new garden work. The atmosphere was happy and the children were definitely excited: they led everyone in a rousing rendition of “Johnny Apple Seed”! 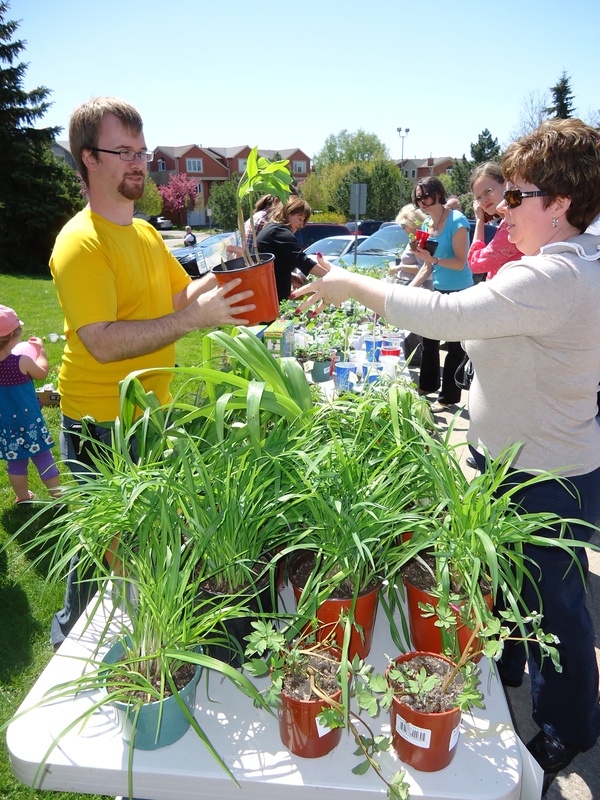 A few members of the congregation organized a plant sale for the same day. I divided and donated a few perennials, including siberian iris, Stella D’oro daylilies, shasta daisies and hosta. Others brought obedient plant, pink bleeding heart, and a few pots of silver lamium (dead nettle). The largest selection, however, came from the ambitious gardeners who started vegetables from seed. There were tiny spagetti squash, peas, basil, leeks, tomatoes and hot peppers, among others. Thank you, S., M., and S.! What makes my heart sing is not just this excellent project, but the leadership and enthusiasm behind it. M., an elder at Trafalgar, has done a huge amount of leg work right from the very beginning. Trafalgar’s elders offered enthusiasm and support. A well-muscled group spent an entire day shovelling earth. Families have made financial contributions. Thanks to M., we even had the support of two businesses: Burlington Garden Supplies donated the truck load of soil, and Holland Park Gardens donated several flats of plants for our plant sale! No doubt there is hard work ahead of us. In the next week or two as the weather warms up we will begin seeding and planting, watering and weeding. How wonderful to begin with such a spirit of joy and hope! 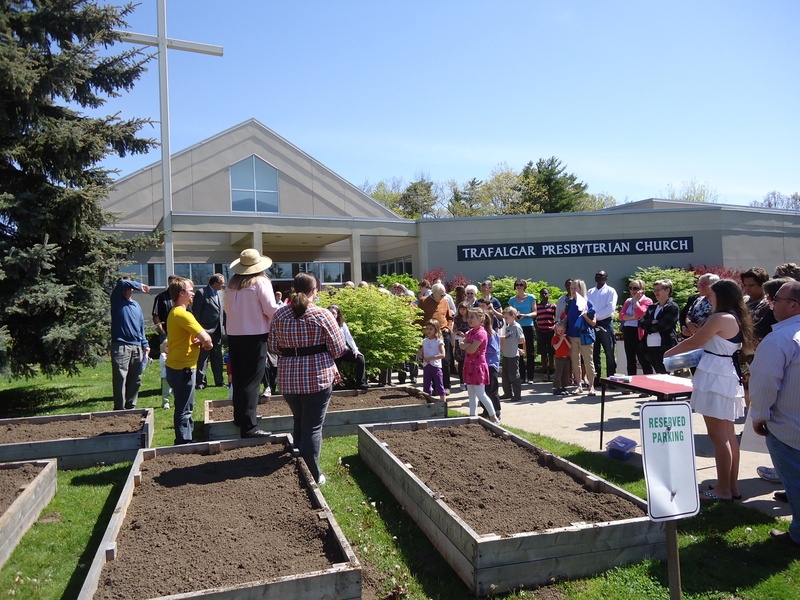 This entry was posted in Uncategorized and tagged church, garden, kids, Oakville, prayer, Trafalgar, vegetable. Bookmark the permalink.